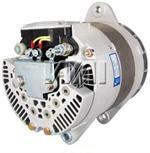 Dual Rectifier Alternator Note: Requires longer bolts and spacing under alternator because of it's larger size. Great for snow plow or other high demand applications, Superior Idle Output. 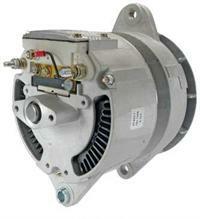 Leece-Neville type 2800JB Series Alternator. Used On: Dodge Truck, Ford Truck, Freightliner, International, Peterbilt, Volvo Truck, Western Star Vehicles. Replaces: GM 2009669; IHC 1618318C91, 1664634C91, 527890C91, 547269C91, 585948C91. 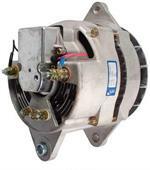 Leece-Neville 2800LC Series 160 Amp Alternator. 12 Volt, Negative or Positive Ground, w/o pulley. 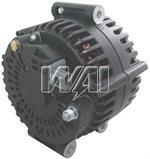 Replaces part numbers Leece-Neville 2800LC, A0012800LC, Lester 7613. 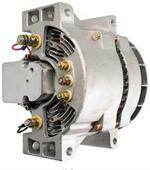 Leece-Neville or Motorola type 8LHA Series Alternator. Used On: Heavy Duty Truck Applications. Replaces: Leece-Neville / Motorola 8LHA2070V, 8LHA2070VB, 8LHA2070VE; 110-555, 110-555HD, 110-555JHO; Lester 8058, 8329. 160 Amp, 12 Volt, w/o Pulley. 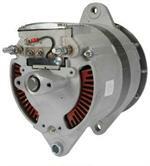 Leece-Neville or Motorola type 8LHP Series Alternator. 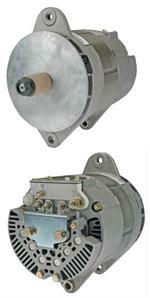 Used On: Heavy Duty Truck Applications. Replaces: Leece-Neville / Motorola 8LHP2170V, 8LHP2170VE, 8LHP2170VH; 110-555P, 110-555PHO; Lester 8410. 160 Amp, 12 Volt, w/o Pulley, 4-Point Pad Mount.